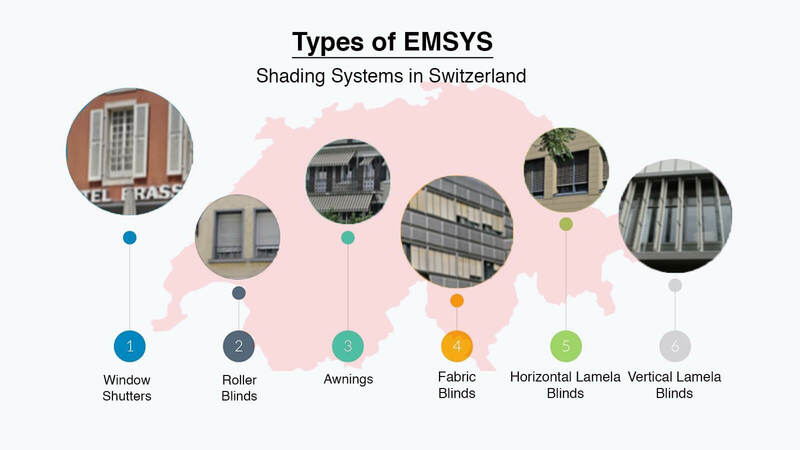 External Movable Shading Systems (EMSYSs) are installed on the glazed surface of the building façade. 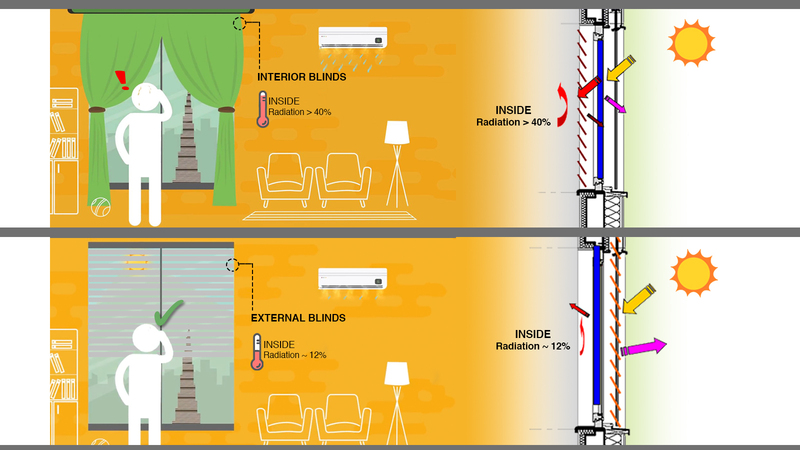 They control the solar heat gain while also providing natural daylight indoors. Good quality EMSYSs are able to reduce heat ingress through glass by up to 80%. Controlling the solar heat ingress results in significant reduction in the cooling/HVAC load of the buildings. 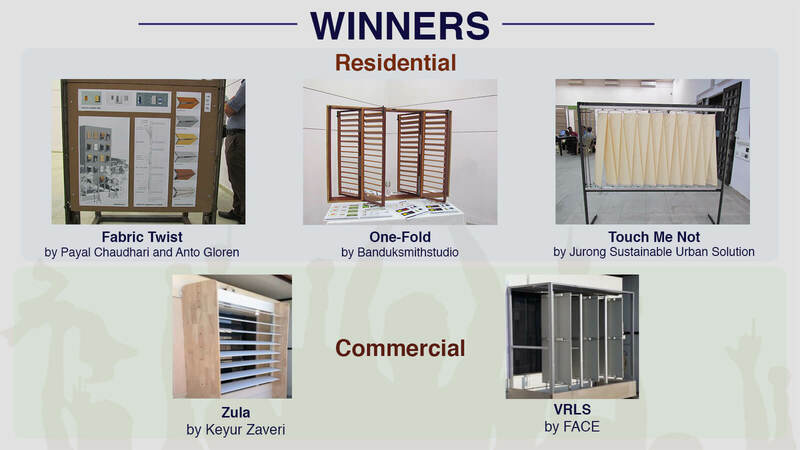 In the case of a glazing made of single clear glass, almost 80% of the solar radiation falling on the glazing enters the building in the form of heat. The Solar Heat Gain Coefficient (SHGC) of such a glass is said to be 80%. However, if EMSYSs are provided and they are lowered/closed during daytime when solar radiation is directly falling on the glazing, most of the solar radiation is reflected, and the SHGC can be reduced to as low as 12%. There is a dearth of viable and cost-effective products in the Indian market. 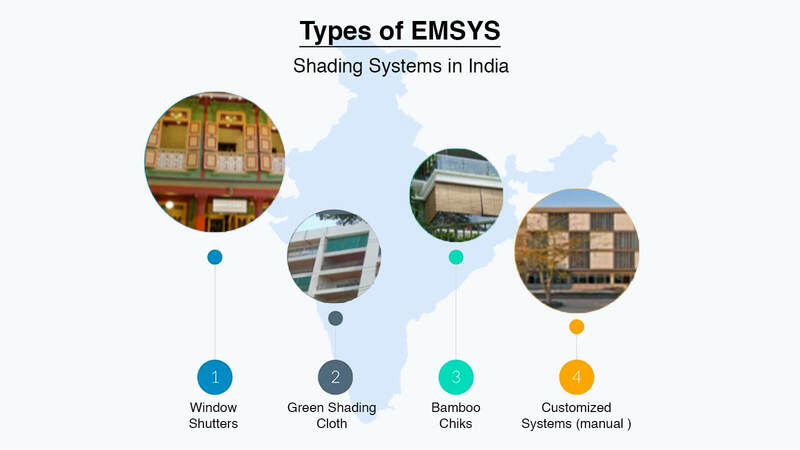 It has been found that the current availability of systems that can be described as EMSYS is generally limited to bamboo ‘chiks’ and niche custom-designed systems for specific buildings. Most chiks are fabricated in the informal sector and are not durable or long-lasting. The customized systems, on the other hand, are expensive and not affordable for mass construction. Between 2018 and 2021, BEEP will extend support to manufacturers and others working in this area to develop and test EMSYS products and in developing the market for these products.